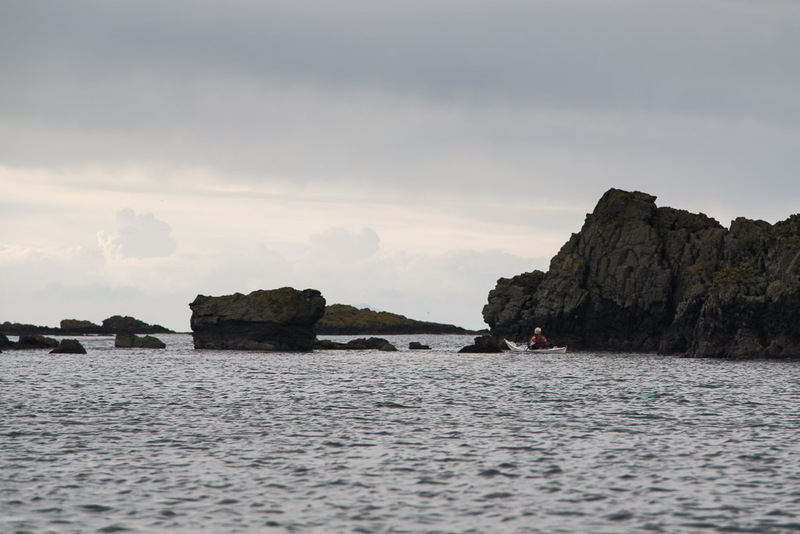 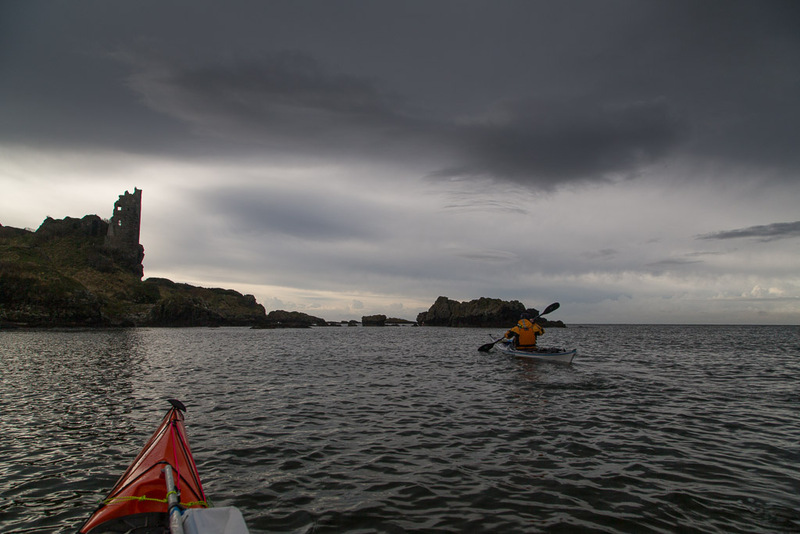 Threading the skerries under grey skies of Dunure. When we emerged from the pub we found that the wind had dropped but swung even further to the south. We would not be leaving the harbour under sail. 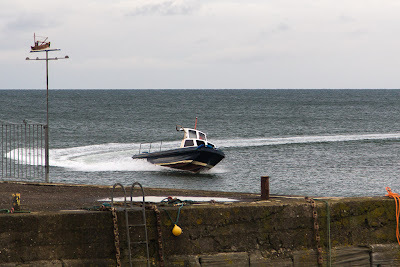 We were glad not to be on the water when this fishing boat roared into the harbour. 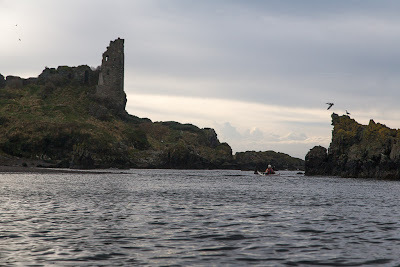 ...below the grim grey walls of Dunure Castle. 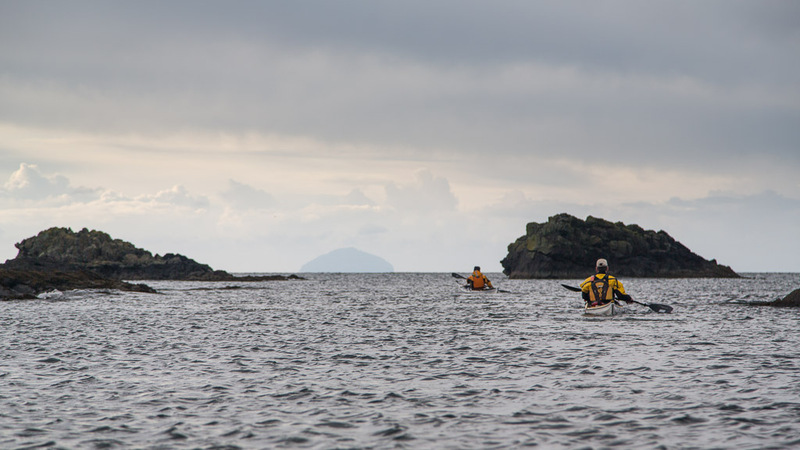 ...we caught sight of the iconic silhouette of distant Ailsa Craig, which itself is a volcanic plug.